Visceral's sci-fi horror coming February 2013. 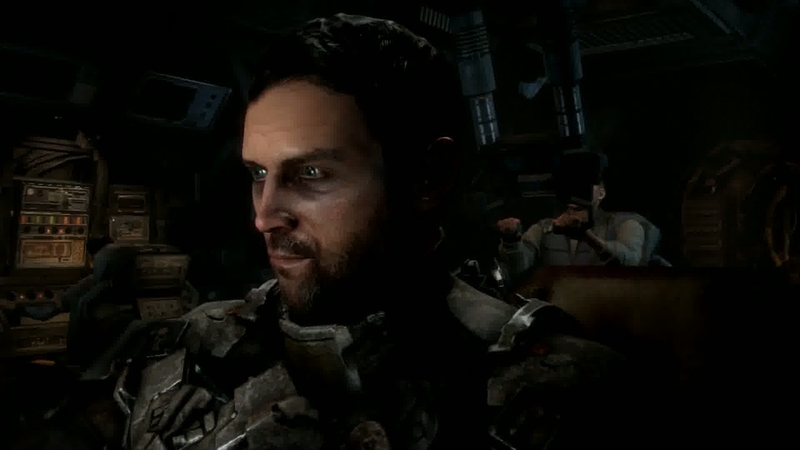 EA's officially lifted the lid off of Dead Space 3 with an action-packed onstage demonstration at its E3 conference in LA. Backing up rumours that have circulated the game for some months before its official reveal, Dead Space 3 takes place on an ice planet and introduces John Carver (who may or may not be of Mars) who ushers in drop-in/drop-out co-operative play. The demonstration showed a heavy action bent for the series, and climaxed with a fight against a colossal necromorph - which duly ate the two leads. EA also took the opportunity to confirm a February 2013 release date for Dead Space 3 on PC, PS3 and Xbox 360. Replaced by Scott Probst, who led Battlefield Hardline's multiplayer development.